One example of nucleophilic/electrophilic reactions, (known as polar reactions) are additions to double bonds. Alkenes are electron rich, so they behave as nucleophiles in polar reactions and attack electrophiles. 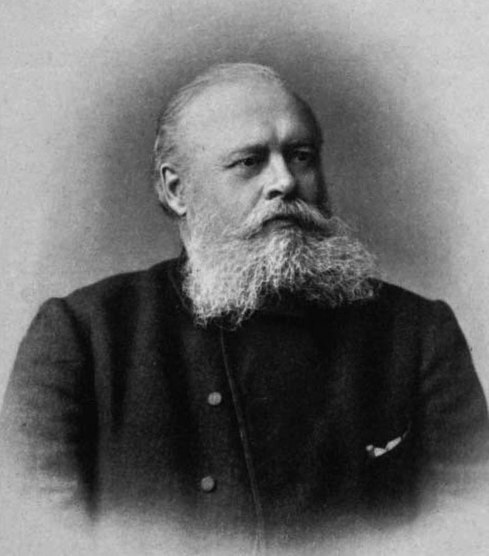 The placement of the new substituents is important and dictated by Markovnikov’s rule. Vladimir Markovnikov: one of the two Russians we'll talk about during this course. This is the one with the better beard. In the addition of HX to an alkene, the H attaches to the carbon with fewer alkyl substituents, (the one with more hydrogens) and the X attaches to the carbon with more alkyl substituents. In other words: the rich get richer. The reason for this is pretty simple. Addition reactions occur in two steps, via a carbocation intermediate. The reaction won’t proceed unless the carbocation is as stable as possible, requiring the charged carbon to be the one with the most substituents.